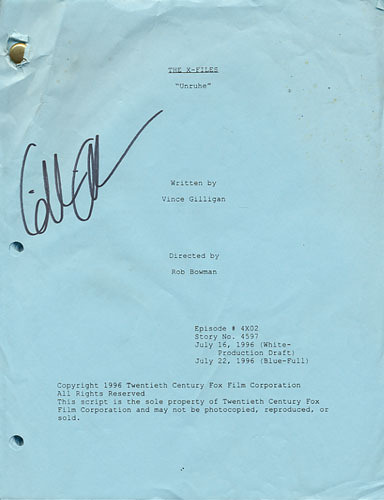 This item is a script for The X-Files 4th season episode "Unruhe." 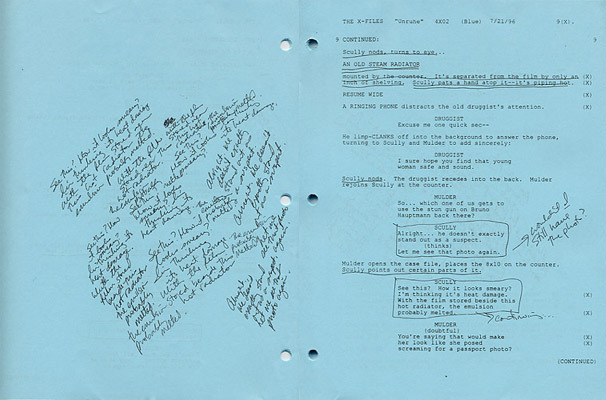 The script is signed by Gillian Anderson on the front cover and approximately 8 of its pages contain notes written by her during the filming of the episode (see sample pages below). The script comes with a Certificate of Authenticity from the Official Gillian Anderson Website.